With due respect we beg to say that we need a post-offrice in our village Rengali, Ps- Sonepur, Po- Lachhipur, Dist- Subarnapur. Our present post-office at Lachhipur is over taxed with work. Because it is situated in an industrial town where thousands of people are working. It is also in charge of a large number of village. So, it is not in a position of manage the affairs. Hence, a post-office is badly needed at Rengali. 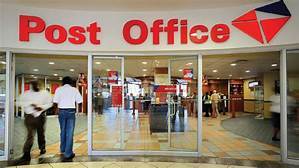 A post-office at Rengali will never cause any financial loss to your department. Because Rengali is a place of a bi-weekly market. A high School And a Sub-Register’s Office are there. Numerous people of this area are working hard. They make weekly and monthly money-orders to their homes in this area. There are a large number of hamlets around our village. Therefore, we pray that you will be kind enough to open a post-office at Rengali and oblige.